“Many photographers feel their client is the subject. 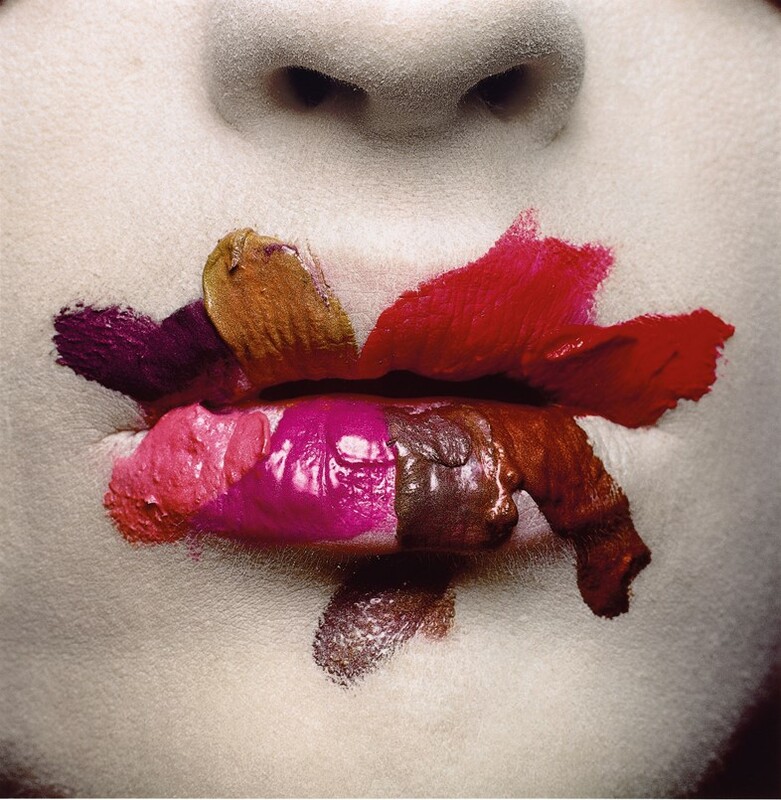 My client is a woman in Kansas who reads Vogue,” said legendary photographer Irving Penn, speaking in an interview with The New York Times in 1991. “I’m trying to intrigue, stimulate, feed her. My responsibility is to the reader.” It is this attitude – among other things – that made Irving Penn one of the most celebrated photographers of his generation. This week, a hundred years after his birth in 1917, the Metropolitan Museum of Art has opened the doors to a major retrospective of his photographs, featuring “both masterpieces and hitherto unknown prints from all his major series” – with fashion photography, portraits, and still lifes that pay homage to the breadth of his practice. 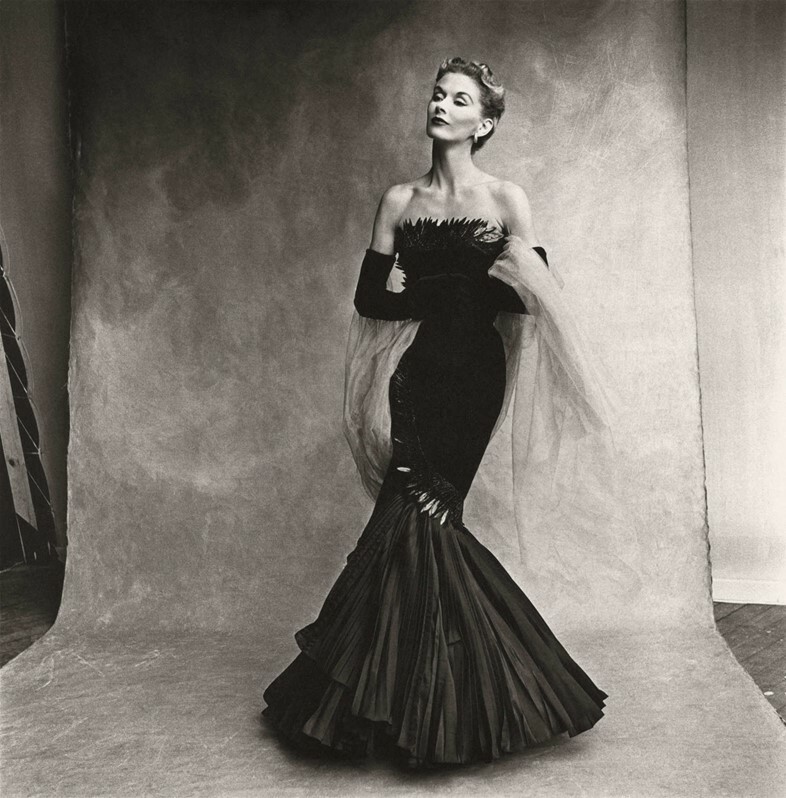 As this exhibition opens, we explore one such image: his 1950 portrait of Lisa Fonssagrives-Penn, the photographer’s wife and a woman who is widely cited as the first supermodel. Penn once said that what he really tries to do is “photograph people at rest, in a state of serenity” – and that is evident in this image, taken for Vogue, of Fonssagrives-Penn. Set against a plain backdrop (in stark contrast to the elaborate sets favoured by Penn’s contemporaries), she looks as beautiful as she does at ease. It’s a testament to one of the greatest photographer-muse relationships of the age and fitting that the two were married – just two weeks after this photograph was taken. 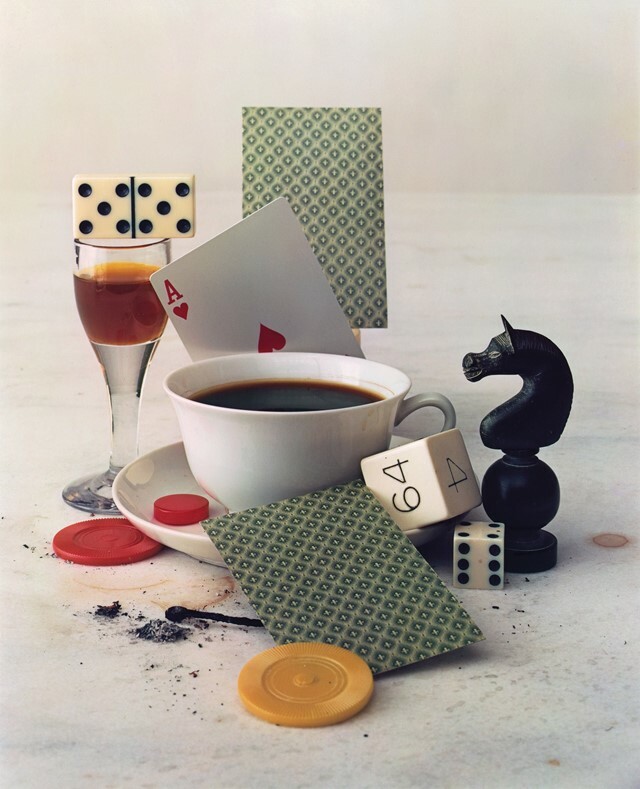 After-Dinner Games, New York, 1947Photography by Irving Penn, Promised Gift of The Irving Penn Foundation to The Metropolitan Museum of Art, New York © Condé Nast Publications, Inc.
Irving Penn Centennial runs until July 30, 2017 at The Met Fifth Avenue, New York.